A short video of the progress on Instagram. I love your chip carved boxes, Tatiana! Thank you for putting photos of them on this website. 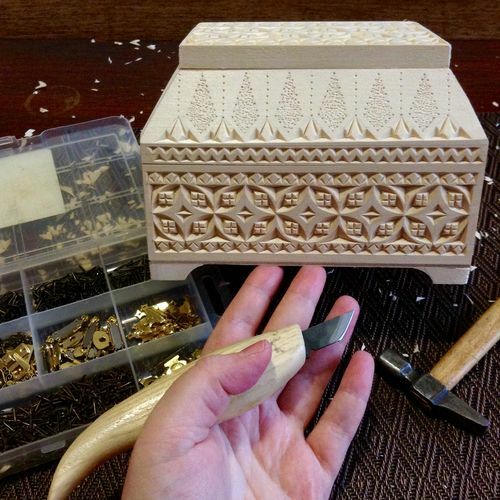 You give inspiration to all of us aspiring woodcarvers.